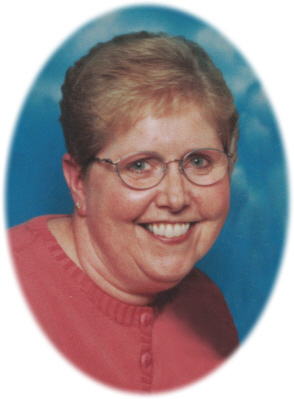 Karen Joyce Smith, 73, of St. Louis, MI, passed away Wednesday, April 10, 2019, at Woodland Hospice House, Mt. Pleasant with her family by her side. Per Karen's wishes, cremation has taken place and a Memorial Visitation will be held on Thursday, April 18, 2019 from 5-7 P.M. at Smith Family Funeral Homes, St. Louis, MI. Karen was born in Alma, MI on May 17, 1945, the daughter of Donald Eugene and Annabelle (Bush) Morrow. She graduated from St. Louis High School with the class of 1963. Karen resided all of her life in St. Louis. She was a pharmacy tech for Arehart's Pharmacy for several years and then worked many years at Peter's Hardware. Karen dearly loved her family and her dogs: Gahyle and Janelle. Karen is survived by her daughter Kerry (Kip) Marsh of St. Louis, MI; son Kirk (Christy) Hagen of Vestaburg, MI; and son Kent (Annette) Hagen of Hamilton, MI. She is also survived by 8 grandchildren: Jillian (Dustin) Smith, Nicholas (Destinee) Marsh, Kaylee Hagen, Kelsee (Cody) Ordway, Ethan (Kalynn) Hagen, Connor (Tessa) Hagen, Ryan (Jenna) Hagen, and Chase Hagen; 11 great grandchildren; brother Tom (Kim) Morrow; and nephew Scott (Kim) Morrow. Karen was preceded in death by her parents, and daughter-in-law Denette Hagen. Memorials may be made to Alzheimer's Foundation 322 Eighth Avenue, Seventh Floor New York, NY 10001. To leave a condolence for the family, please visit www.smithfamilyfuneralhomes.com. The family is being served by Smith Family Funeral Homes, St. Louis, MI. There's still time to send flowers to the Memorial Visitation at the Smith Family Funeral Homes - St. Louis from 5:00 PM to 7:00 PM on April 18, 2019.